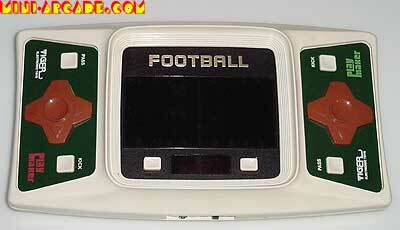 Comments: A full featured LED football game. 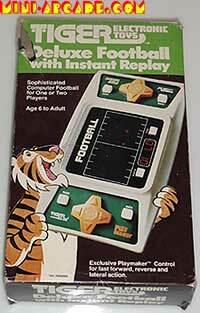 Huge screen, nice controls, instant replay, many plays to choose from, and even a half time show. Has a patented 'playmaker' control scheme where you can choose your play without your opponent seeing what direction you pressed. 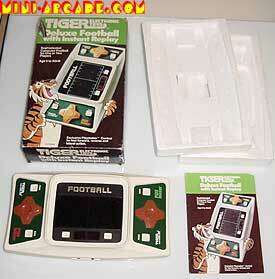 A very strange patent - Tiger must have assumed all the other handheld game companies would steal this idea, when in actuality the handheld LED sports market collapsed right around this time. 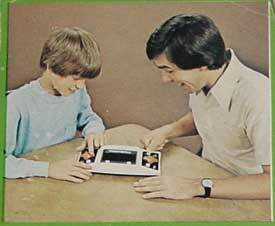 "Holy cow, look at the fun we are having!"